We were delighted to partner with Bulleit Bourbon and our local distributor, Wirtz Beverage Group, to raise funds for Toys for Tots during the holidays. Founder Tom Bulleit was on hand to sign bottles and greet special guests at kick-off cocktail parties held in our Marion and O’Fallon locations. 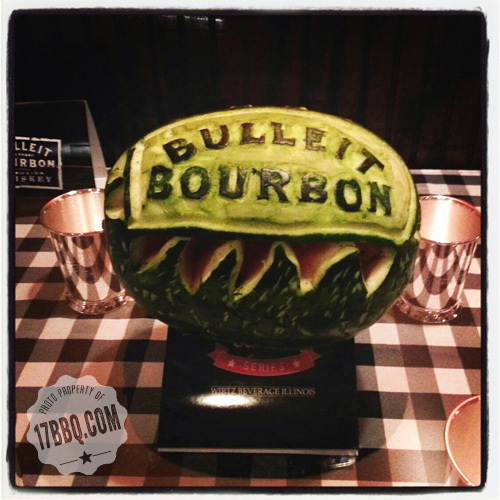 We developed special recipes, each using Bulleit as an ingredient, and a percentage of proceeds from those menu items, augmented with a significant amount from Bulleit, was donated to Southern Illinois Toys for Tots. The items, particularly the Bulleit Wings, were so popular that a few might be making a repeat appearance. Stay tuned!